Christmas decorations get put out quite early here in the UK and mr.B gets really excited about it so I go along with it just for him. In our home decorations come out on December 1st, tree and all, and if I pick up anything Christmas related at a boot sale, charity shop or fair, it gets displayed even earlier. I was sorting out the decorations for the Christmas tree the other day and realised i will have quite a few baubles left that don't fit the colour scheme or style of the other tree decorations, so i decided to repourpose them and turn them into a Christmas wreath. 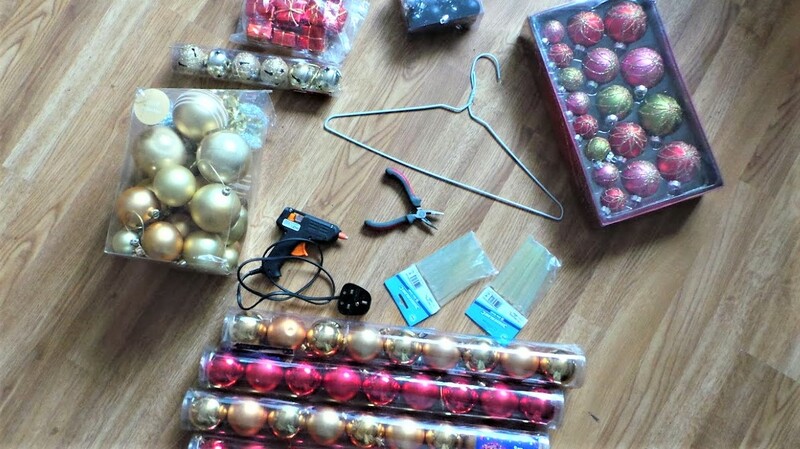 I opened the coat hanger with the small pliers and peeled off the plastic cover on the metal because it was too thick for the baubles to slide down. 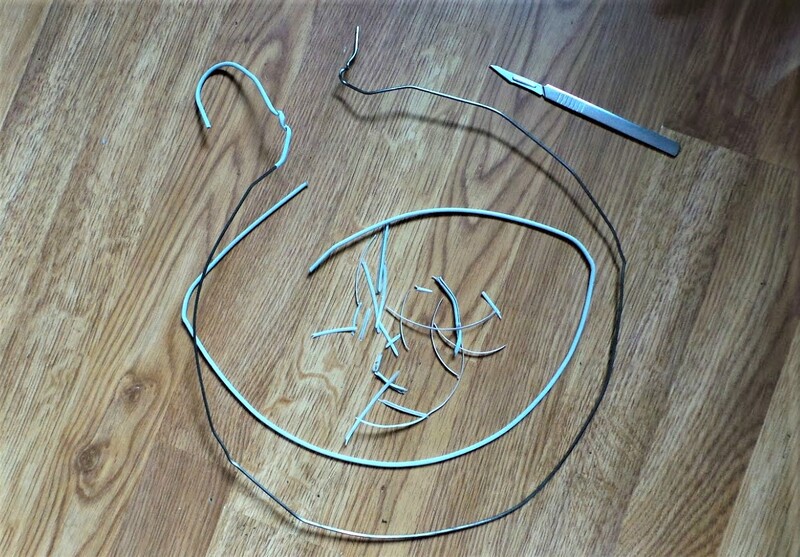 Use a knife for that or wire cutting pliers, but be careful not to cut the wire as well. Then I bent it and shaped it into a circle. 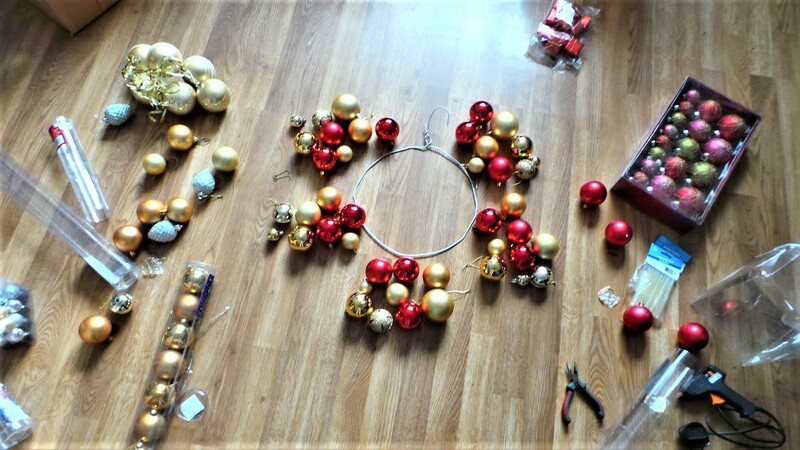 I gathered all the baubles and divided them into 5 groups making sure each has equal amount of baubles of the same colour and size. 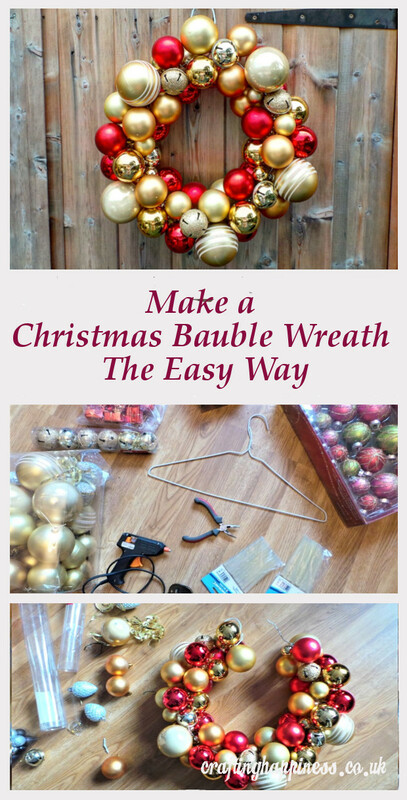 Use the glue gun to secure the top hook to the bauble. 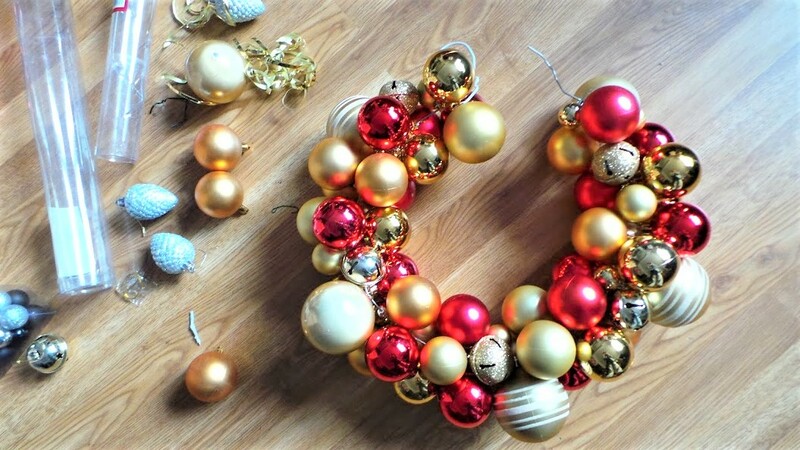 Although you could skip entirely this step, i think it's quite important, when pushed together, the baubles will pop out of the hook and you will have a hard time putting them back together. it's all about doing it the easy way after all. Slide the baubles one by one down the metal wire making sure you alternate colours but also, more importantly, the sizes. 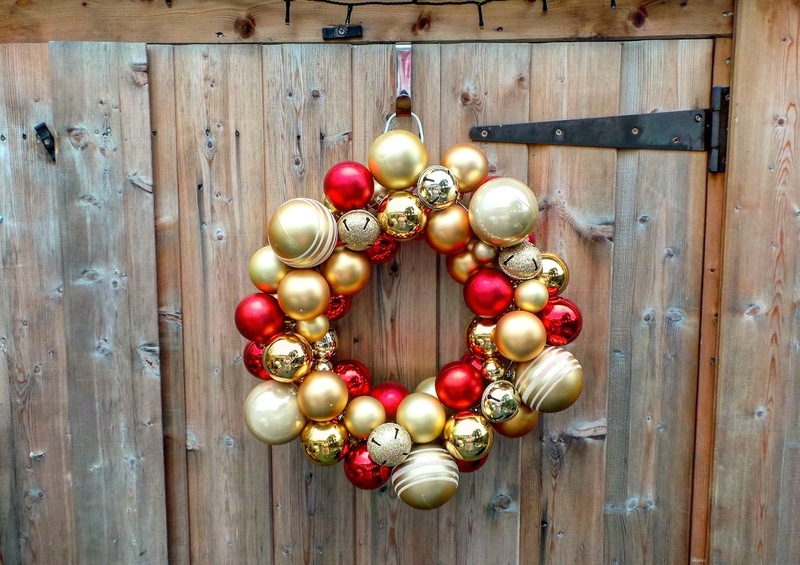 the smaller baubles will fill in the space between the big baubles, making the wreath look full. Keep a mental note of the order you placed the baubles from the first group and do the same with the rest of 4 groups of baubles. 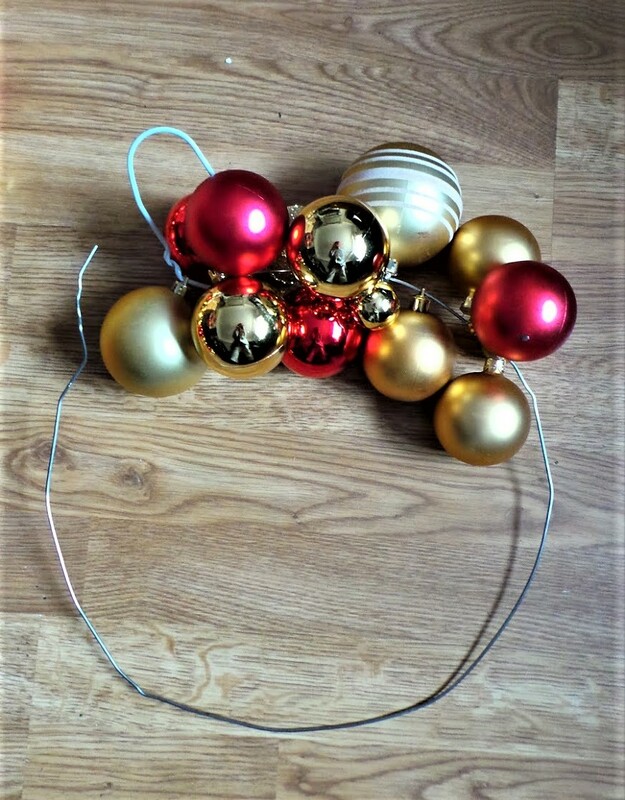 Rotate the baubles around the wire to fit snug against each other, do this as you place them, it will be easier. 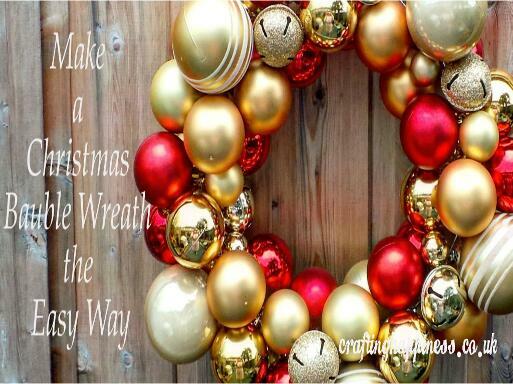 Once the wreath is full, use the pliers to bend and wrap the end of the wire back where it was. And that's it, enjoy your new wreath, it's waterproofed so you can use it outside on your door or inside the house. Optional, you could attach a fabric bow to the top, personally i prefer it without.